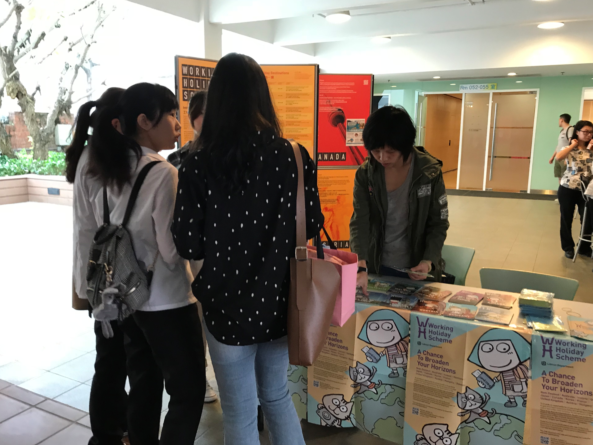 Please visit the "What's News" section for up-to-date information about our activities! 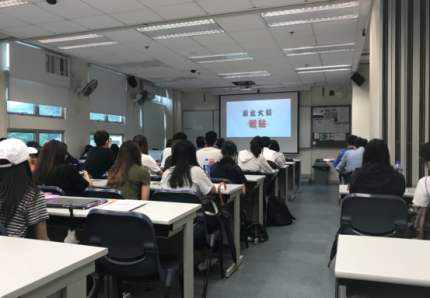 The Working Holiday Scheme Unit of the Labour Department participated in the Careers Expo at Pope Paul VI College and introduced the details of the scheme to senior forms students. 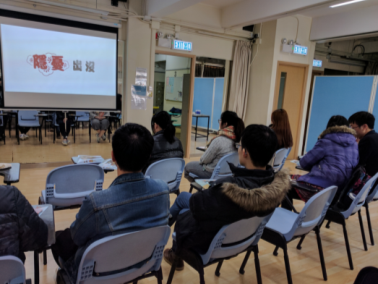 The Working Holiday Scheme Unit of the Labour Department held a working holiday sharing session at Hong Kong Institute of Vocational Education (Chai Wan). 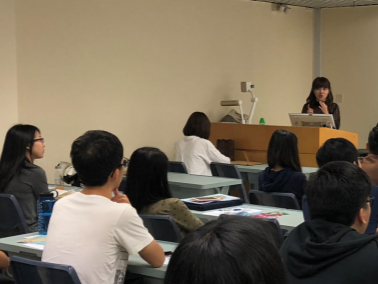 Ada and Acacia, previous working holidaymakers in Japan and Germany respectively, were presented to pass on their rich experience and tips to the students. 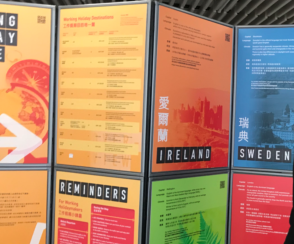 A roving exhibition and three sharing sessions on working holiday were held by the Working Holiday Scheme Unit of the Labour Department at the Hong Kong Design Institute (HKDI) and the Hong Kong Institute of Vocational Education (Lee Wai Lee) in October 2018. 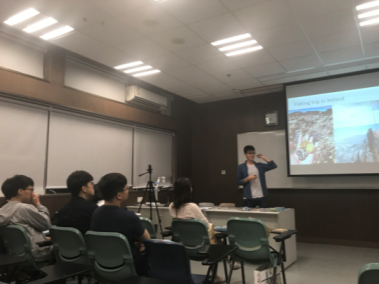 Six guest speakers, who had been to different destinations for working holiday, were invited to share their wonderful journeys during the sessions. 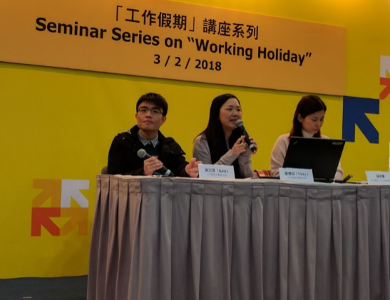 Five talks on working holiday scheme were conducted by the Working Holiday Scheme Unit of the Labour Department at the Hong Kong Institute of Vocational Education (Tuen Mun) to promote deeper understanding of the working holiday scheme. 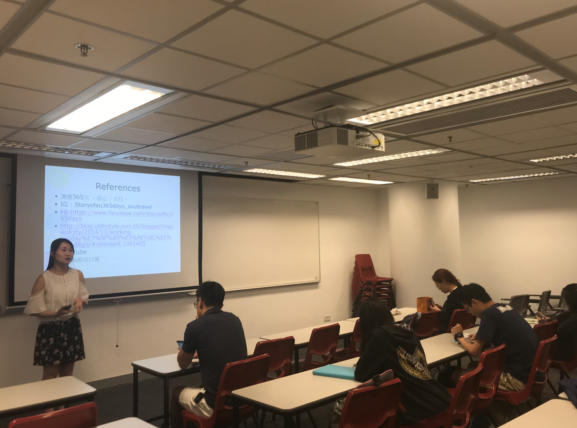 A working holiday sharing session was held by the Working Holiday Scheme Unit of the Labour Department at the Hong Kong University of Science and Technology (HKUST). 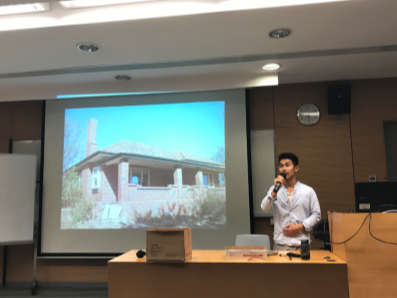 Previous working holidaymakers in Australia and the United Kingdom, Mosaic and Kelena, were invited as guest speakers to share their stories during the event. 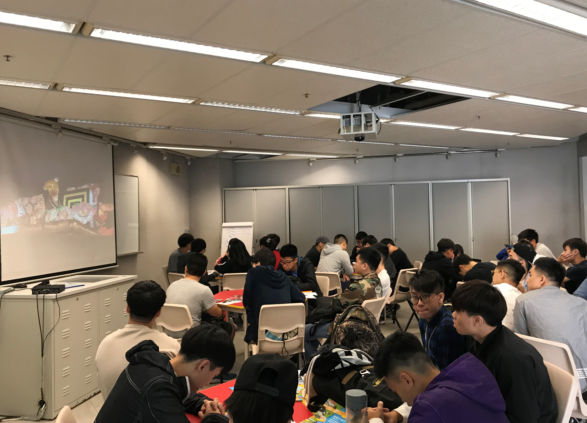 The Working Holiday Scheme Unit of the Labour Department took part in the Hong Kong University of Science and Technology (HKUST) "23 rd Career Mosaic". 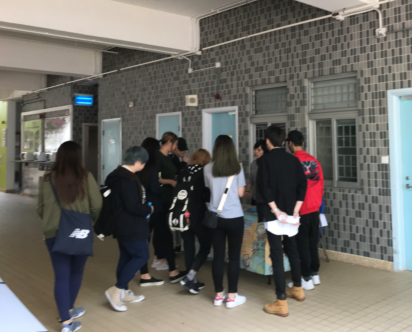 During the expo, the Working Holiday Scheme Unit introduced the working holiday scheme and distributed publicity materials to the students. 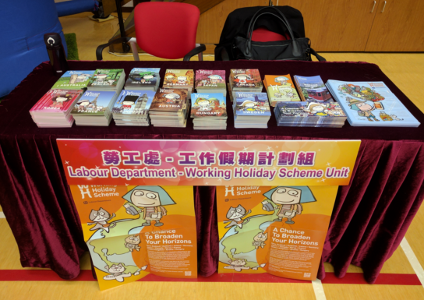 A working holiday roving exhibition was held by the Working Holiday Scheme Unit of the Labour Department at the Hong Kong Institute of Vocational Education (Haking Wong). 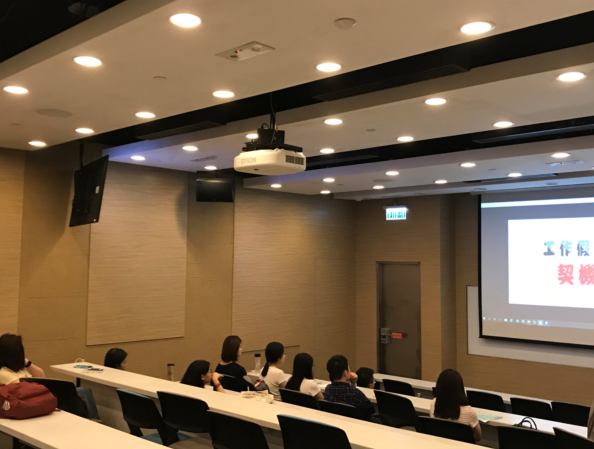 A working holiday sharing session was also held in the evening. 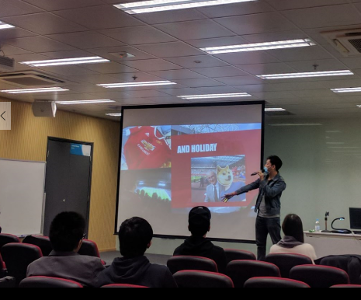 During the session, Jeffrey and Joyo shared their interesting working holiday experience with students. 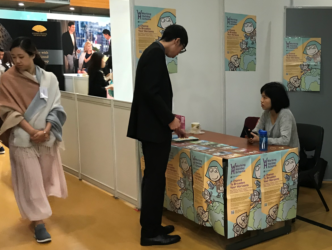 The Labour Department participated in the "Week of CEDARS Global Career Springboard Scheme (CGCSS) " by publicising the working holiday scheme at the booth. 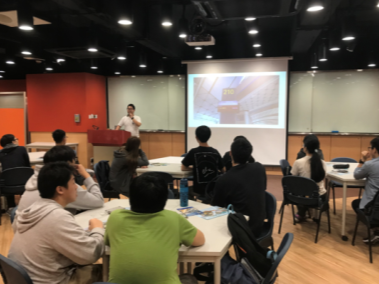 A talk was also delivered on the same day to further introduce the details of the scheme. 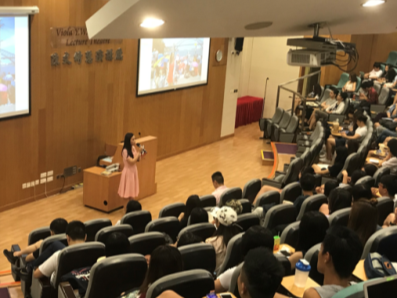 To enhance students' knowledge of the working holiday scheme, the Working Holiday Scheme Unit of the Labour Department held five working holiday talks and one roving exhibition at the Hong Kong Institute of Vocational Education (Tuen Mun) in June 2018. 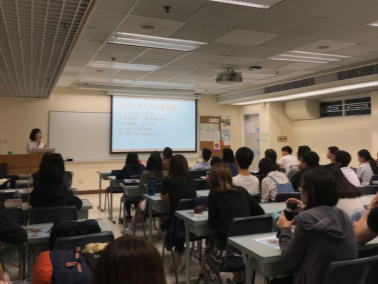 The Working Holiday Scheme Unit of the Labour Department organised a working holiday sharing session at Tung Wah College. 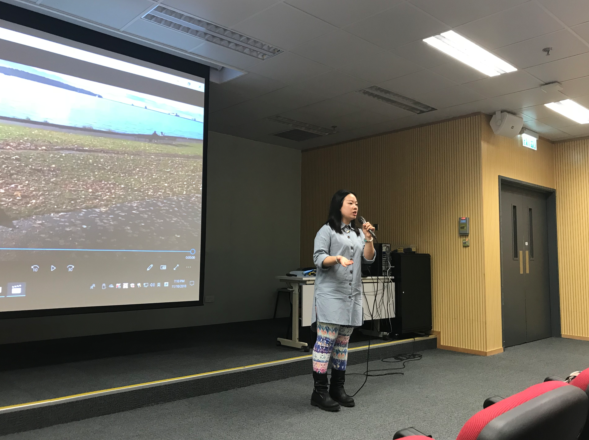 Travel blogger, Fung Garcia and columnist, Kate Wong were invited to share their unique working holiday experience in Germany and Australia respectively. 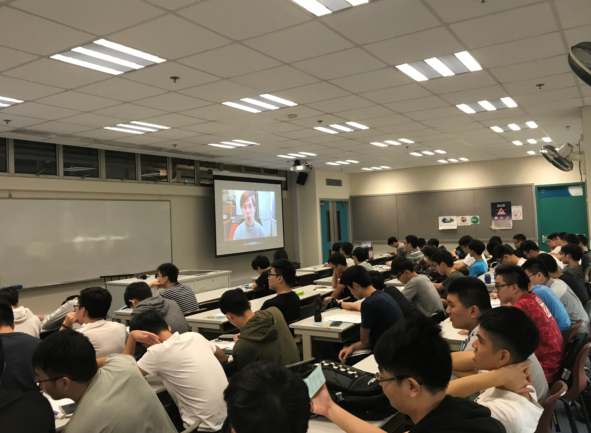 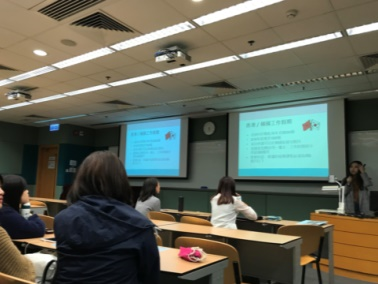 The Working Holiday Scheme Unit of the Labour Department gave a talk at The Education University of Hong Kong (EduHK) to introduce the working holiday scheme. 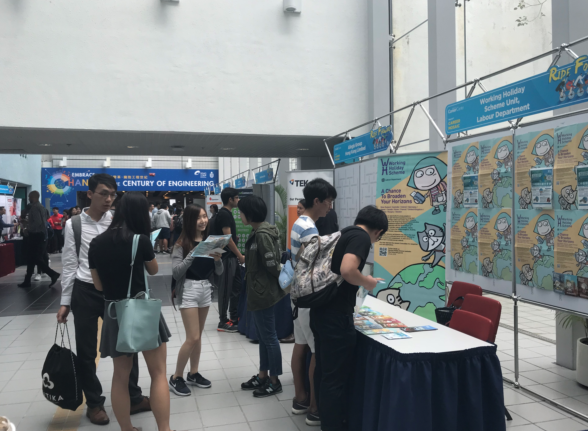 The Working Holiday Scheme Unit of the Labour Department held a working holiday roving exhibition at the Youth College (Yeo Chei Man). 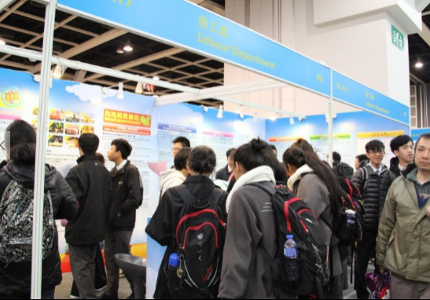 The exhibition enabled students to get better understanding of the working holiday scheme. 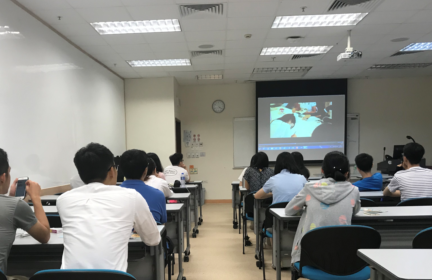 The Working Holiday Scheme Unit of the Labour Department held a working holiday sharing session at the Hong Kong Institute of Vocational Education (Morrison Hill). 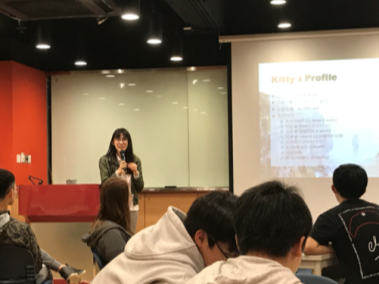 Jun and Kitty were invited as guest speakers to share their working holiday experience in Japan and Ireland during the session. 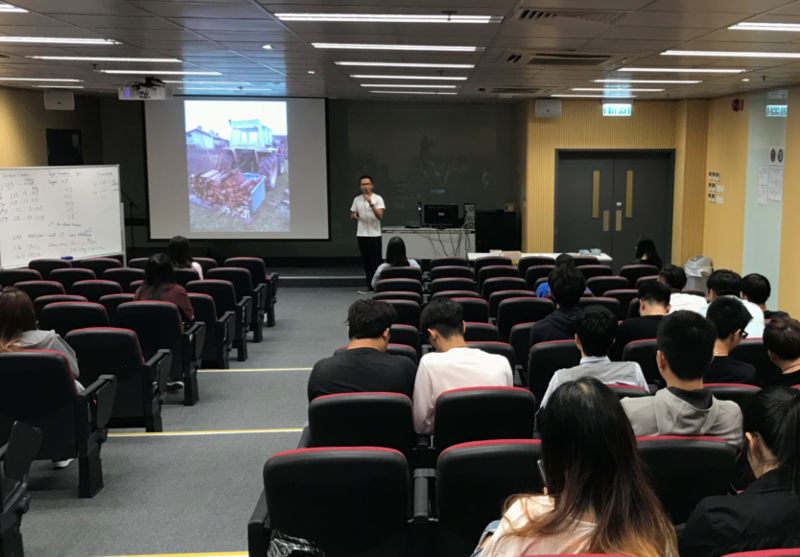 A talk on working holiday scheme organised by the Working Holiday Scheme Unit of the Labour Department was held at the Hong Kong Baptist University (HKBU). 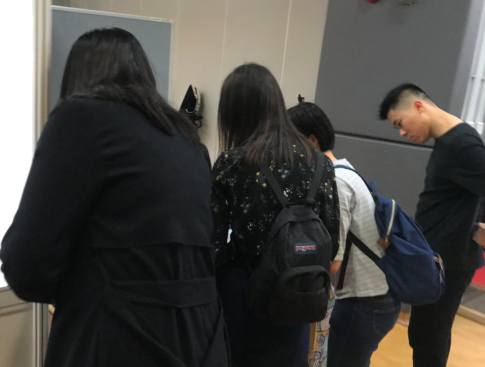 The Working Holiday Scheme Unit of the Labour Department participated in the "Career Flash Journey" career fair organised by the Hong Kong Institute of Vocational Education (Chai Wan). 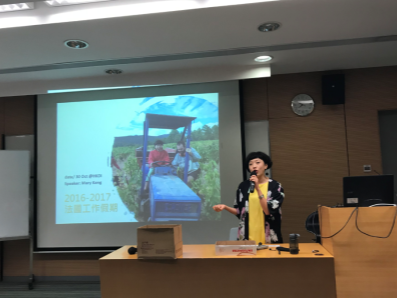 A working holiday sharing session was also held on that day. 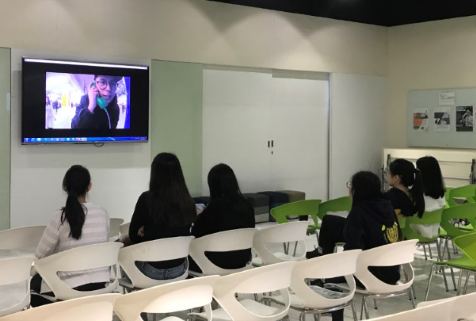 Previous working holidaymakers, Tina and Nathaniel, shared their first-hand experience living and traveling in different working holiday destinations. 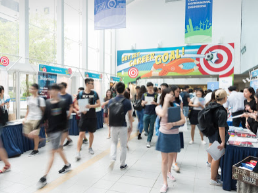 To enhance student's understanding of the working holiday scheme, the Labour Department participated in the Career Fair organised by the School of Professional Education and Executive Development, The Hong Kong Polytechnic University (PolyU SPEED). 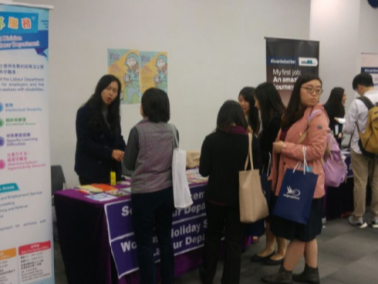 A booth was also set up on that day answering enquiries about working holiday scheme. 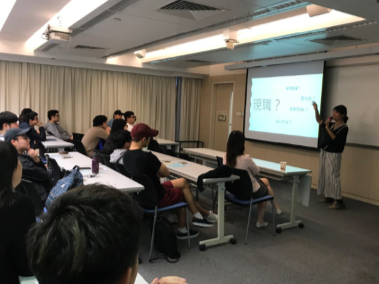 A working holiday sharing session was organised by the Working Holiday Scheme Unit of the Labour Department at the HKU School of Professional and Continuing Education (HKU SPACE). 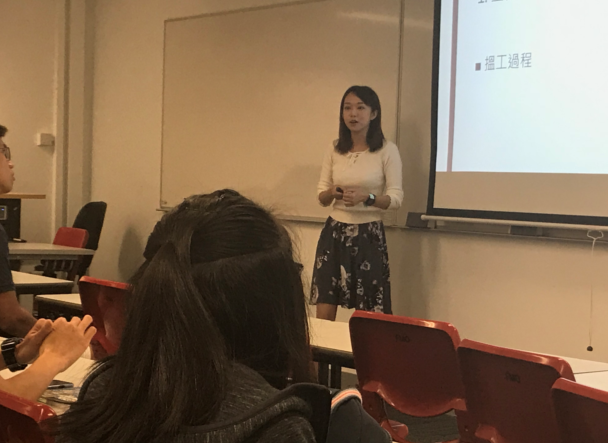 The two guest speakers, 背包浪子 and 風信子, shared their fruitful working holiday experience in Australia and Japan during the session. 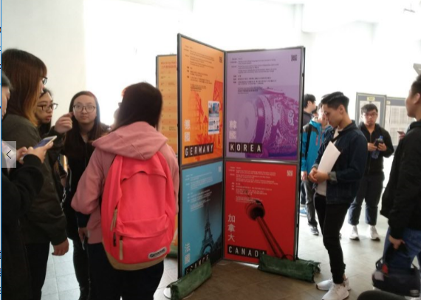 The event was well-received by the students. 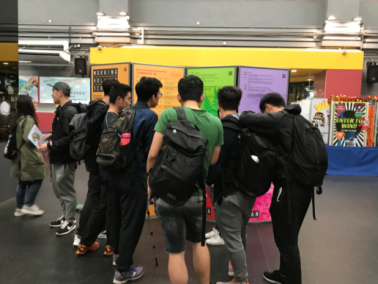 The Working Holiday Scheme Unit of the Labour Department held a working holiday roving exhibition at the Youth College (Kowloon Bay), so as to strengthen students’ knowledge on the scheme. 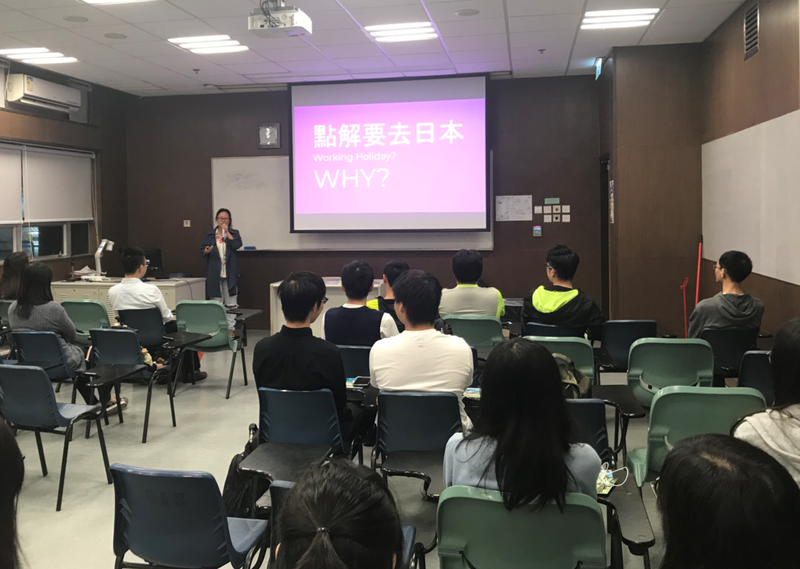 A working holiday sharing session was conducted by the Working Holiday Scheme Unit of the Labour Department at the Chinese University of Hong Kong (CUHK). 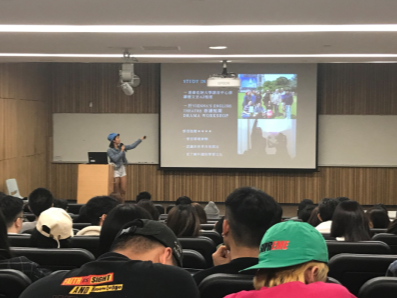 TV host Myrilla Li and travel blogger Kame were invited to share their adventures during working holiday in the United Kingdom and Japan respectively. 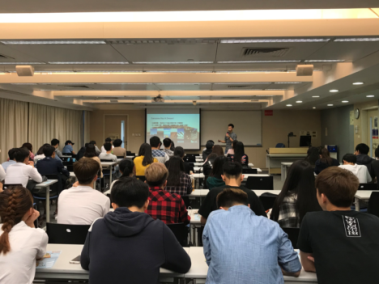 The Working Holiday Scheme Unit of the Labour Department participated in the "22nd Career Mosaic March 2018" organised by the Hong Kong University of Science and Technology (HKUST). 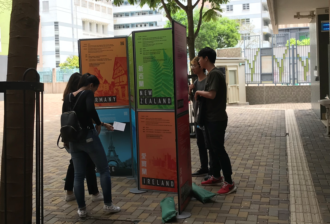 A booth was set up at the venue to introduce the working holiday scheme and answer students' enquiries. 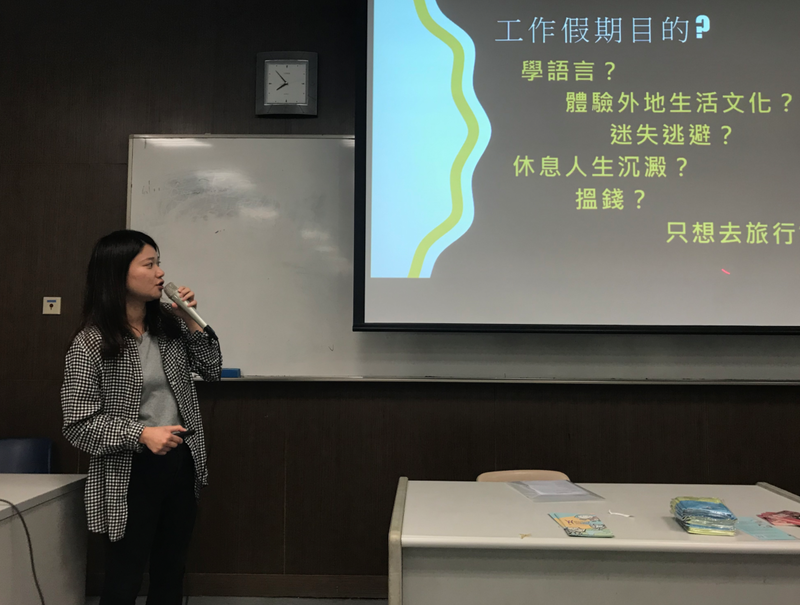 A working holiday sharing session was held by the Working Holiday Scheme Unit of the Labour Department at the School of Continuing and Professional Studies, The Chinese University of Hong Kong (CUSCS). 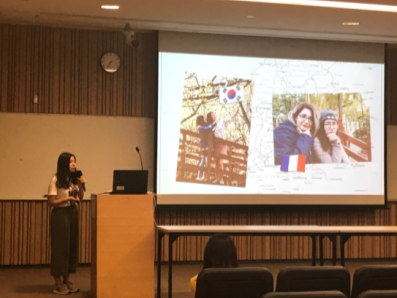 Previous working holidaymakers, Maxine and Dorothy also shared their valuable experience in Korea and the United Kingdom on that day. 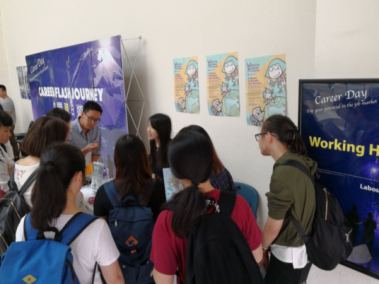 The Working Holiday Scheme Unit of the Labour Department participated in the Hong Kong Baptist University Career Fair 2018. 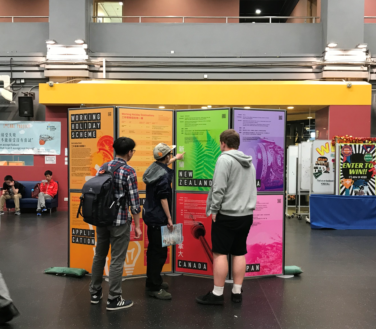 A booth was also set up to introduce the working holiday scheme to the students. 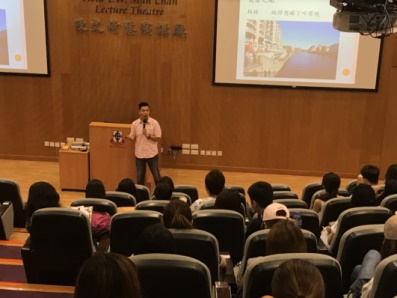 To increase students' interest in the working holiday scheme, the Working Holiday Scheme Unit of the Labour Department delivered a talk on this topic at the Hong Kong Nang Yan College of Higher Education. 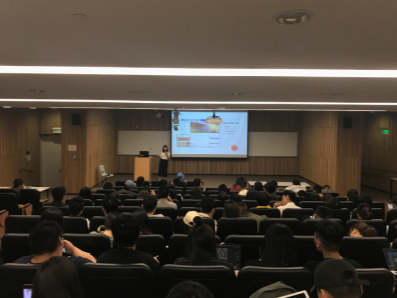 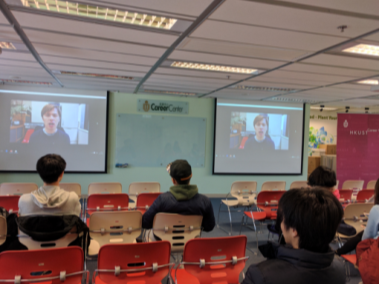 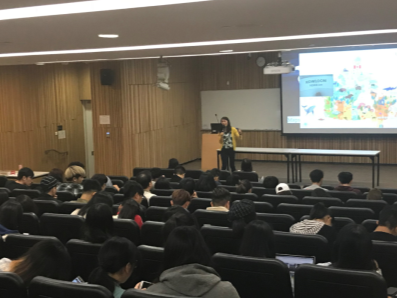 The Working Holiday Scheme Unit of the Labour Department organised a talk on working holiday scheme at the Hong Kong University of Science and Technology (HKUST) to provide information of the scheme to the students. 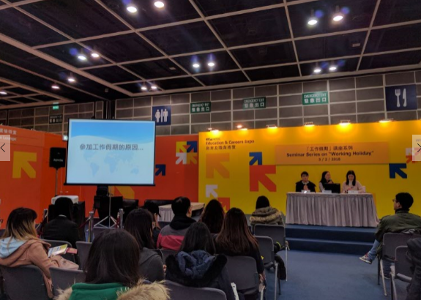 The Labour Department participated in the "Education & Careers Expo 2018" on 1-4 February 2018 at Hong Kong Convention and Exhibition Centre. 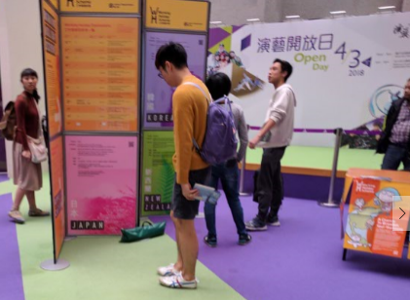 Apart from local employment information, information on Mainland employment and the Working Holiday Scheme were provided to assist job seekers, in particular young people, to broaden their horizon and look for career opportunities outside Hong Kong. 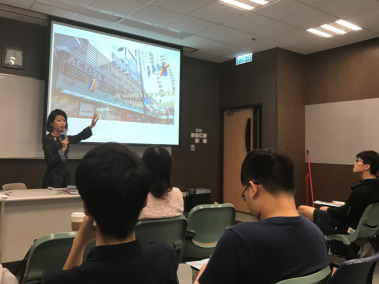 Representative of the Labour Department introduced the Working Holiday Scheme in details in a seminar on 3 February. 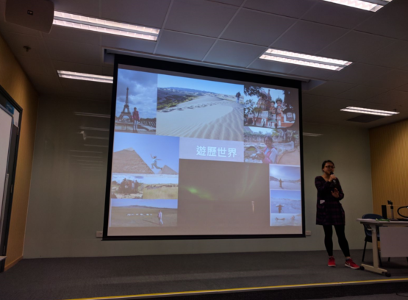 Previous working holidaymakers, Vicky and Kata, also shared their valuable experience during the seminar. 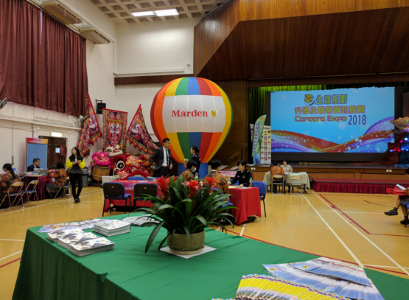 Caritas Chai Wan Marden Foundation Secondary School – "Careers Expo 2018"
The Working Holiday Scheme Unit of the Labour Department was invited to join the "Careers Expo 2018" organised by the Caritas Chai Wan Marden Foundation Secondary School. 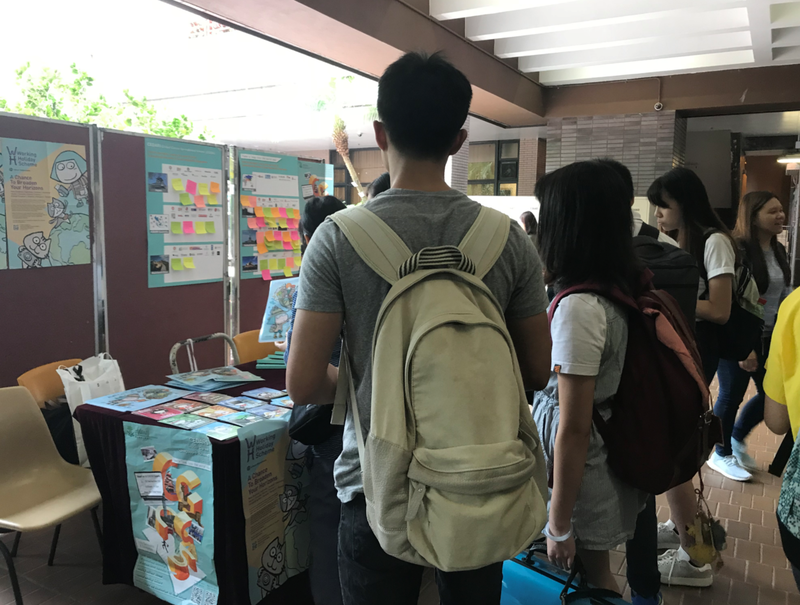 A booth was set up at the venue to introduce the working holiday scheme and disseminate publicity materials to the students. 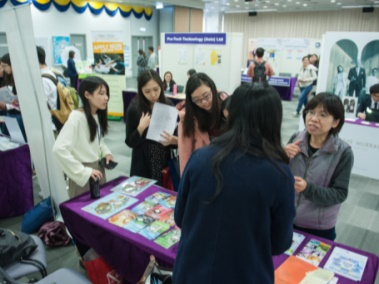 The Working Holiday Scheme Unit of the Labour Department held a working holiday roving exhibition at the Hong Kong Institute of Vocational Education (Haking Wong). 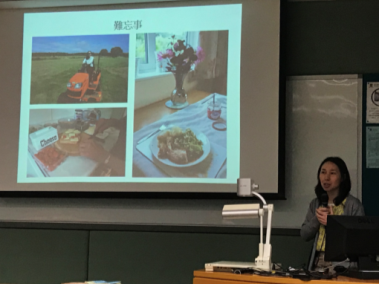 Kimkam, who had participated in the Ireland and Australia working holiday schemes and Daniel, who had cycled to the United Kingdom from Hong Kong for working holiday, were invited to share their experience during the working holiday sharing session. 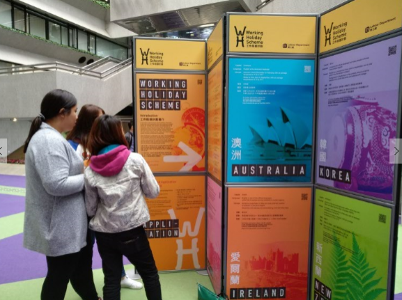 The Working Holiday Scheme Unit of the Labour Department held a working holiday roving exhibition at the Hong Kong Academy for Performing Arts (HKAPA). 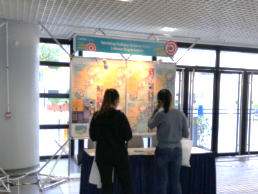 A booth was set up at the venue to answer enquiries relating to the working holiday scheme from students.